When it is time to replace the old and welcome the new, Jasco entry doors are offered in Smooth Steel, Textured Steel and Fiberglass with a wide variety of clear and decorative glass styles. 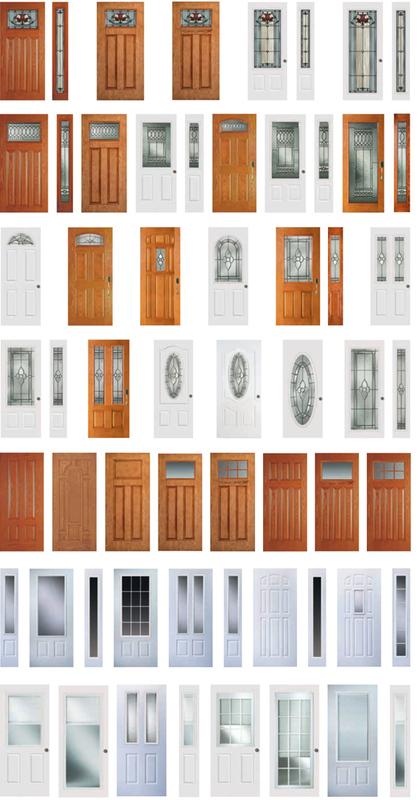 All types of units such as front doors, side doors, back doors, sidelites and transforms are available. Our entry doors are also available in wood stain. Each finish is hand rubbed by skilled craftsmen and receives a clear topcoat for added UV protection and durability. Choose a finish to compliment your home's trim, floor or cabinetry. To get a quote or more information about Entry Doors, especially for homeowners and contractors in the Long Island, NY area, please contact us or use the easy form in the right column. We look forward to helping you turn your project plans into a reality.